The river that provides water to the oilsands industry is much more prone to multi-year droughts than modern records show, suggesting that the industry's current level of water use may not be sustainable, a new study suggests. The oilsands industry needs 3.1 barrels of fresh water to produce a barrel of crude oil from oilsands mining, according to the Canadian Association of Petroleum Producers. 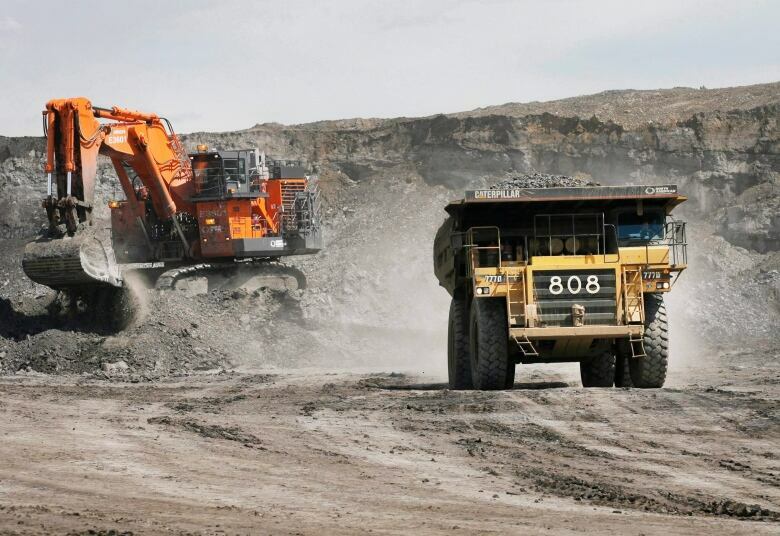 That water for oilsands mining comes mainly from northern Alberta's Athabasca River, and oilsands account for 72 per cent of estimated water use from the river. The government regulates the amount of water the oilsands industry is allowed to use based on measurements of water flow taken by dozens of monitoring stations along the river since 1957. 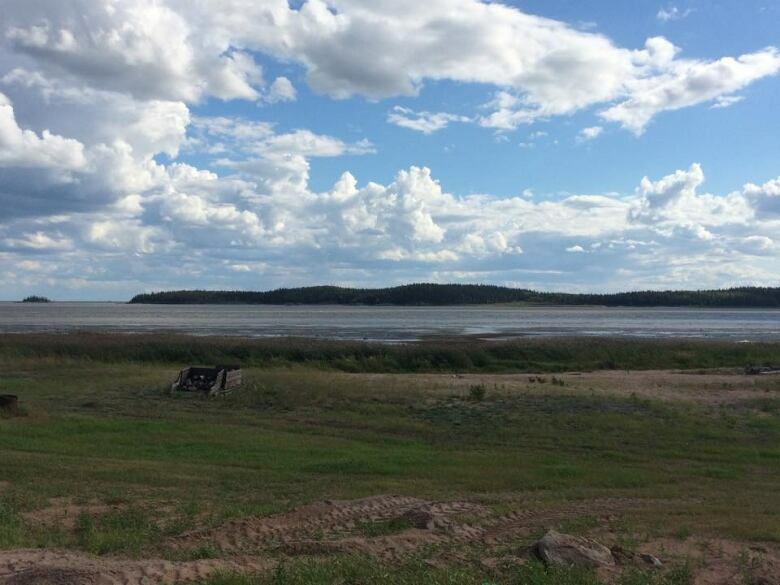 But a study led by University of Regina researcher David Sauchyn has found that those water flow measurements aren't that representative of the river's long-term behaviour. "What we show is if you go back 900 years, the river is much more variable than you would think based on measurements since 1950s," Sauchyn said. 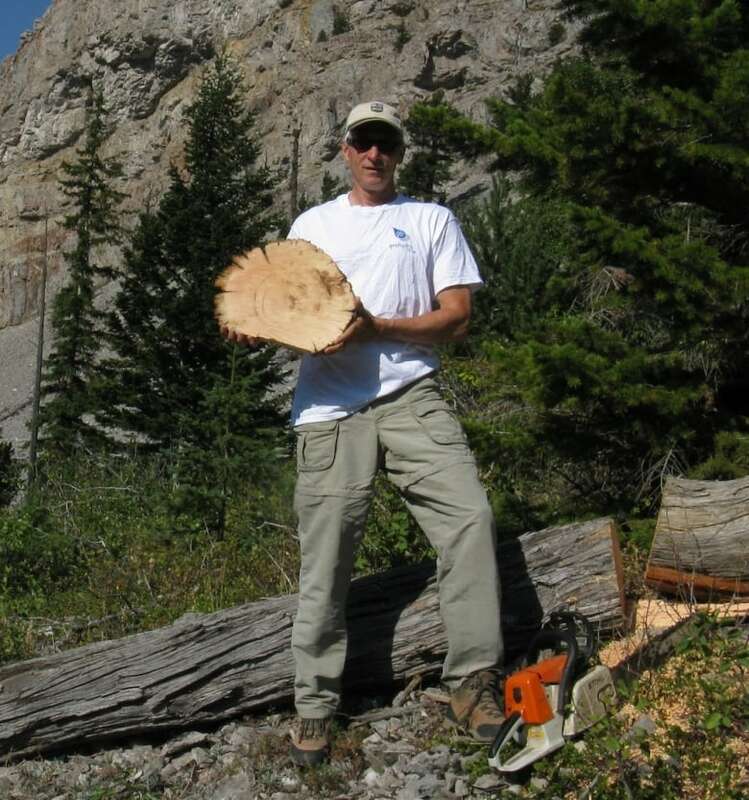 In order to get centuries' worth of data, Sauchyn and his colleagues drilled pencil-sized cores from live trees and cut cross sections of dead trees to measure their rings. They sampled hundreds of very old Douglas firs and limber pine trees growing on the dry slopes in the upper part of the Athabasca basin. Some of them had started growing as long ago as the year 1111. The trees put on one growth ring every year. 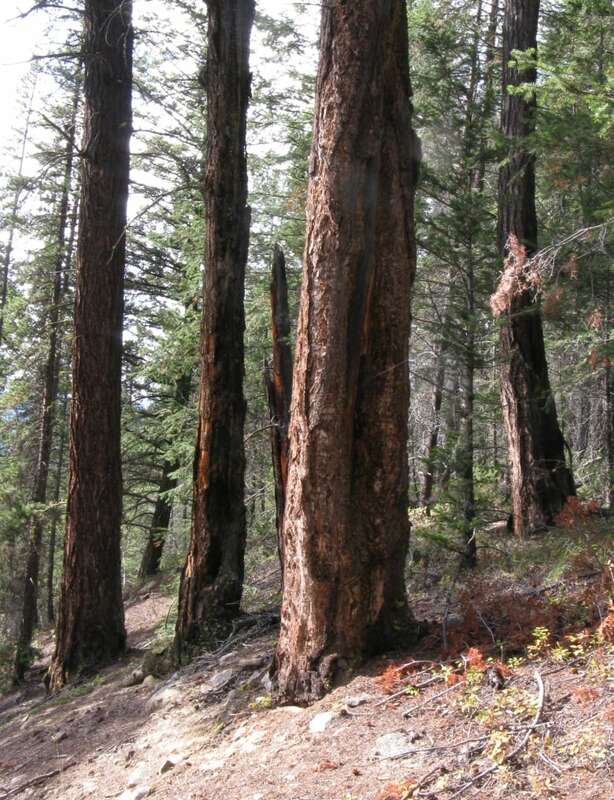 The ring is thicker if the growing conditions are better and thinner if the tree grows less due to a shortage of sunlight, nutrients, heat or water. "On the prairies in summer, there's plenty of everything except water," Sauchyn said, "so really what the growth of the trees tell us is how much water was available to the tree every year over its lifespan. It's the same water that's available to the river as well." The researchers compared the "climate record" found in the tree rings to measured water flows in the Athabasca River since 1952 and found a very close correlation. They then used that to estimate water flows going back 900 years. The study also confirmed that overall flows in the Athabasca River are declining. That's something that was already known and thought to be mainly because of the melting and shrinking of glaciers, seen in this photo of the river's headwaters. (David Sauchyn)What they found were records of droughts that lasted years to decades, including relatively recent severe droughts from 1888-96 and another one from 1790 to 1806, when river flows were lower than the minimum ever recorded by modern instruments. Some droughts in previous centuries were even worse, lasting up to half a century. "That is something we just haven't experienced, when we do it's going to be difficult because we're not used to it," Sauchyn said, "but also because it will reoccur in a much warmer climate than in the past — a double whammy." At the moment, the oilsands industry is allowed to take 4.4 per cent of the mean annual flow of the Athabasca River. 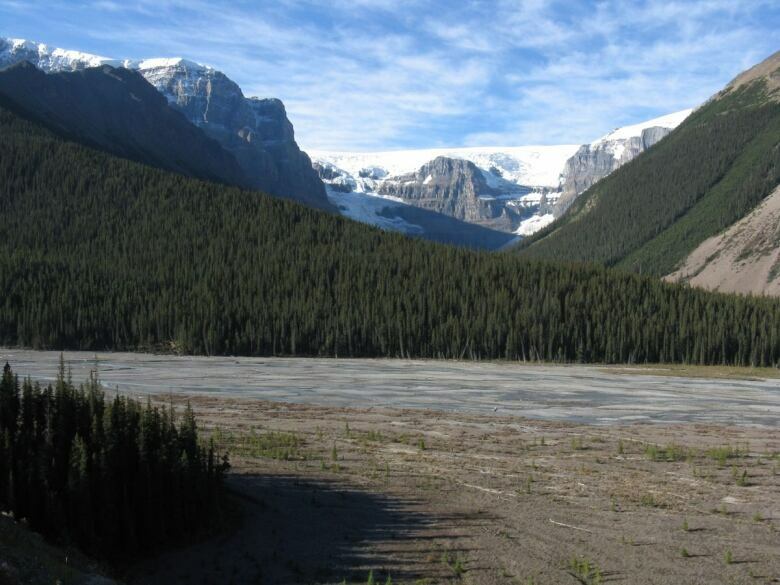 According to Lisa Glover, a spokeswoman for Alberta Environment and Parks, that's based on the maximum amount of water a mine project could expect to need at any stage of its development rather than its typical use. Because of that, the industry typically uses far less. In 2011, it used 143 million cubic metres, or 17 per cent of its allowance, the government says. Still, that could represent a significant proportion of the water in the river in case of a severe drought, Sauchyn says. He and his colleagues recommend that the government and oilsands industry consider what they would do in case of a long drought in a warmer climate. Glover said that water licences issued to oilsands companies are already reviewed under certain conditions, but the allocations aren't adjusted on a regular basis. "This approach better reflects the long-term nature of oil sands projects," Glover wrote. The study also confirmed that overall flows in the Athabasca River are declining. That's something that was already known and thought to be mainly because of the melting and shrinking of glaciers. The Alberta Energy Regulator already has regulations in place to restrict water use by the oilsands industry in the short term when there are low water levels. That happened this summer in the North Athabasca basin. Companies in the lower Athabasca region were not affected. 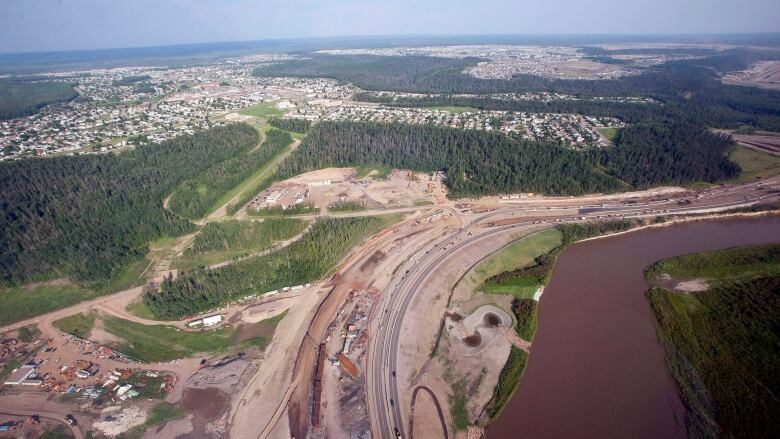 According to the Alberta Energy Regulator, oilsands companies already recycle 80 to 95 per cent of the water they use. Sauchyn acknowledged that the industry is working to reduce its water consumption. "Which is a good idea," he added, "and we're giving them more reason to use less water." The study was funded in part by the oilsands industry via the Canadian Oil Sands Innovation Alliance, along with the Natural Sciences and Engineering Research Council of Canada and the Meteorological Survey of Canada. A previous version of the story implied that water from oilsands drilling and not just oilsands mining comes from the Athabasca River. In fact, water for oilsands drilling comes from groundwater, not the Athabasca River.